As the energy landscape changes, utilities and vendors are making significant moves to capitalize on new market trends. On May 5 of last year, GDF Suez became Engie and sold its entire US fossil fuel generation fleet. Engie is now focusing 100 percent on renewable energy, distributed generation, and microgrids. The change came as CEO Gérard Mestrallet prepared to retire and pass the title to his anointed successor and current deputy Isabelle Kocher. “Why the name change and new focus? Because the world of energy is changing; we're moving toward a less centralized, less carbon-intensive energy world, away from the centralized world of yesterday,” said Mestrallet at a press conference. On February 26 of this year, Southern Company agreed to buy PowerSecure for USD 431 million. PowerSecure is a 15-year-old business that focused on managing distributed generation assets and microgrids before most people even knew the trend. Today they control some 1,500 MW from mostly backup generators and solar PV systems at some 1,200 military bases, hospitals, data centers, grocery stores, and food-processing plants. “The electric utility business model is increasingly expanding beyond the meter. Today there is demand for distributed infrastructure solutions that best meet each customer's unique energy needs,” said Southern Company’s CEO Thomas Fanning. On March 29, 2016, Edison International created Edison Energy to service commercial and industrial customers and merge their stand-alone companies into one seamless offering. Edison Energy brings together four firms recently acquired by Edison International: Eneractive Solutions, a New Jersey-based consulting company; Delta Energy Services, an Ohio-based consulting company; Altenex, a renewable energy procurement company; and SoCore Energy, a solar PV installer. “Edison International has a long history of leading the way in innovative solutions to energy challenges, both through our regulated businesses and our experience in competitive markets. Large energy users increasingly need a strategic partner to help them navigate through the diverse energy marketplace. Edison Energy will provide the expertise that will enable large commercial and industrial energy users to explore the many options available to them and to select the best portfolio of alternatives to power their operations,” explained Ted Craver, CEO of Edison International. On May 2, 2016, Oracle, the software and cloud computing giant, agreed to buy Opower for USD 532 million. And just what does Oracle know? Are they predicting that energy efficiency is the key to our energy future and that virtual power plants will emerge soon? “We believe the fit between our front-end customer engagement tools and Oracle’s back-end operational systems is a natural one. We are excited to join Oracle Utilities and to bring even more value to you as part of the Oracle Utilities Industry Cloud Platform,” said Daniel Yates, Opower CEO. And on May 9, American Electric Power, Berkshire Hathaway Energy, Duke Energy, Edison International, Eversource Energy, Great Plains Energy, and five others announced the formation of Grid Assurance—to enhance grid resiliency and give electric transmission owners faster access to long-lead-time critical equipment necessary to recover from catastrophic events. “Grid Assurance is an industry-led proactive response to the numerous potential risks facing our nation’s transmission system, including severe weather, catastrophic events like earthquakes, or physical and cyber attacks. By maintaining a readily available supply of critical equipment necessary to restore power delivery if the transmission system is severely damaged, Grid Assurance will help protect consumers and communities from the devastating impacts that delays in restoring electricity can have on quality of life and the nation’s economy,” said Michael Deggendorf, Grid Assurance CEO. In closing, I have a few questions for you to consider: Did the French start the new energy revolution? Who will follow? 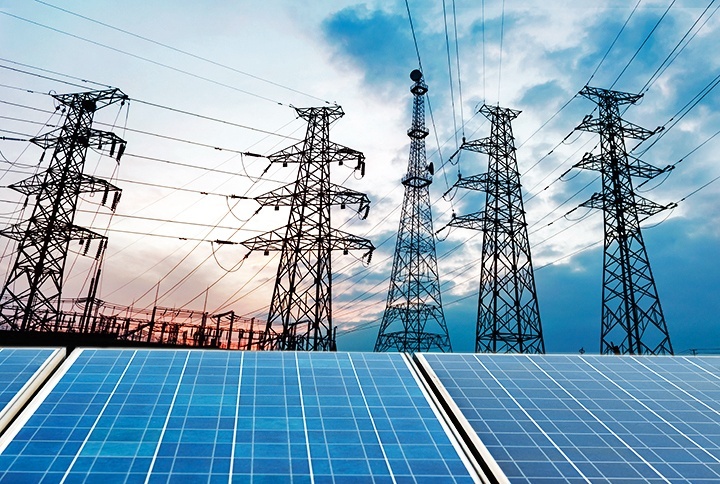 Should utilities own the energy assets on the customer side of the meter? Why bet on distributed assets and complexity? Would they buy more companies? Can utilities compete and be profitable? Will the new business models and focus work? It sure looks like speed is picking up on the old utility tracks and change is on the way for all of us. What do you think of these changes? Next article:Unleash the Power: Knights Landing Developer Platforms are here!